I am submitting this blog post to hopefully win a trip to Portland to the Living a Better Story seminar that Don Miller is hosting. You can learn more about the conference here: www.donmilleris.com/conference and there is a video at the bottom of the entry. 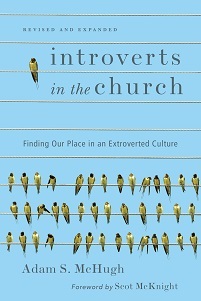 I said in my book Introverts in the Church that if someone were to write me into a story, they wouldn't make me the protagonist or the antagonist or even a major character; they would make me the narrator. My introverted tendencies often locate me at the side of a room, on the fringes of the action. The disadvantage of this is that some consider me standoffish or antisocial, but the advantage is that I get a wide-angle view of the action. In many stories the narrator is omniscient, knowing more than the players do about the plot, their relationships, and even the inner workings of their minds. While omniscient might be a stretch, I think that my tendency to observe before I engage gives me some insight into situations and cultures and people that those who are in the center of the action might not have. It's not a coincidence that I have become a writer. There's a reason why so many writers are introverts. From our little corners we see things that others don't, and we have just enough physical and emotional distance in those situations to look on with a little objectivity. We can watch it all and make the connections that others cannot see, reading people in ways that others can't. Then we can tell the wide-angle story, which we often prefer to do in writing rather than in speaking. But seriously, who really wants to be narrator?? Would you prefer to be the hero of the story, who saves the town, defeats the villain, and gets the beautiful girl, or the old guy who sums up the exploits of the hero as the sun sets? When little kids watch the Super Bowl, do they dream of growing up to be Peyton Manning or do they fantasize about being Jim Nantz? I had a conversation with a fellow writer recently about the insecurities we deal with in our callings. We compare ourselves to others - generally more extroverted types - who are out leading the charge and mobilizing people and planting churches and generally getting their grooves on, and it's hard not to feel inadequate. We're the ones who watch the movers and shakers and then narrate their movings and shakings. We know that we're necessary parts of the whole process, because often the movers and shakers can't write worth a damn, but it's a fine line between doing the essential work of a narrator, telling the story to inspire others, and watching life pass us by from our room-corner view. One solution I've heard for this tension is that writers need to do more than just write. Sometimes we need to immerse ourselves in the action and we need to go out and buy ourselves some experiences. Take risks. Travel to exotic locations. Make more friends who are different from ourselves. If we don't, we risk becoming flat characters, two-dimensional people who are as thin as the pages we tell our stories on. And no doubt there is truth in this. But I don't think there should be a dichotomy between "writing" and "living." Maybe I'm naive, but I'd like to think that writers don't need to go elsewhere to find a good story to live but that the writing life is a good story in itself. In A Million Miles Donald Miller says that a story involves a person who wants something and who overcomes conflict in order to get it. Two years ago I was laid off from my rewarding but exhausting job as a hospice chaplain, and I was spent. I had emptied my emotional reserves praying with those who were dying and comforting their grieving spouses and relatives who were watching them die. I just had nothing to give people for several months. My book manuscript was due in 3 months and so I took this unexpected turn and devoted that summer to writing. It was the best summer of my life. For the first time in my career I found a lifestyle and a personal rhythm that fit who I was, and it was exhilarating. I was peaceful and joyful and had emotional energy to give to my wife and my friends and my other interests. I knew, when that summer was done, that the writing life was what I wanted. God was in those pages. But since those initial months of my writing awakening, the conflict has set in. My book is selling very well for a first time author, but hardly enough to sustain my livelihood. I make less money than a front-yard lemonade stand. On top of that, the publishing industry has fallen harder than President Obama's approval ratings. I imagined that when my first book was published, all the doors would be open to me, and I would just have to choose which one to take. Instead, the things that looks like doors are just rectangular shaped gobs of paint on a brick wall. People tell me to give it up and get a real job. But I can't stop dreaming of the writing life. I want to know how I can center my professional life around writing and what practical steps are required to thrive in this dangerous calling. Not just for my personal job satisfaction but because I know my potential to do the greatest good for the most number of people includes a corner view and a laptop. And I know that God is in the pages. The Divine Commodity by Skye Jethani. This is a brilliant book by the managing editor of Leadership Journal, who proposes that consumerism is the biggest problem in the church today. By consumerism he doesn't mean "consumption" but rather the assumptions and the promises of a consumeristic society. This is a beautifully written book that interweaves the work and life of Vincent Van Gogh with a loving and hopeful critique of the American church. Highly, highly recommended. Love is an Orientation by Andrew Marin. If you want a book that will shake you up, no matter what side you're on in the debate, this is the one. Andrew lives in Boystown, a gay neighborhood in Chicago, and calls himself a "bridgebuilder" between the gay community and evangelical Christian community. This is a unique book, spending less time laying out all the arguments pro or against, and refraining from entering into the political conversations, and more time telling the stories of the people he meets and encouraging Christians to enter into their world. Andrew has been attacked by both sides, so he must be doing something right! A 30 Day Retreat: A Personal Guide to Spiritual Renewal by William Mills. William is an acquaintance of mine who is an Orthodox priest (and I'm obligated to say I received a free copy from his publisher), who introduces the practice of lectio divina (slow, contemplative readings of the scriptures) in a way that feels accessible and palatable for newcomers to the discipline. 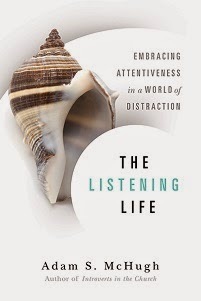 I'm just starting this, so I can't comment too much on it, but if you are interested in learning more about lectio divina and making it part of your devotional life, this looks like a great introduction. I think this is a very helpful and thoughtful article from Bob Hyatt on the Out of Ur website. It's right along the lines of points I made in my book about the need for pastors to have firm boundaries between work and family, to rest and care for their souls, and to find their core identity in the Lord, not in their work. "Brothers and Sisters, We Kinda Sort Are Professionals"
My worlds have collided today. Since I grew up in Seattle, I'm a big fan of the Seattle Mariners (spare me the pity), and I regularly read a fan blog called USS Mariner. Today they posted a blog entitled "The Man Who Wasn't There," cross-referencing a Coen Brothers' movie and one of the Mariners' pitchers, Erik Bedard. On that post, the author says "Running a Google search for "erik bedard introvert” returns more hits that one could very probably expect for most other ballplayers." You can bet that people reading that post today are googling that very search, and guess what? They're ending up over here! The reason for that is that I posted about Bedard 2 years ago, when the Mariners traded for him. I've re-posted what I said below. But here's the line that gave me some pause from the post on USS Mariner: "(Bedard)'s quiet and does little to construct anything of a persona....As a result, that persona has been constructed for him, more often than not to his detriment." How true. We introverts, because we're a little more reserved and a little more reluctant to open up with others, often have our personas constructed for us. We don't give people as much to work with, so they insert their assumptions, which are usually negative. And Bedard gets them all: standoffish, arrogant, unlikable, misanthropic, apathetic, or worse. That's all I'm going to say about that today, since I've addressed these things multiple times before. But I'd love to hear your thoughts. And here is the post about Bedard and other introverted athletes (including Tiger Woods, who has become just a little bit less sympathetic in recent months. :) Oh, and Ty Willingham was fired by the University of Washington (because he was terrible, not because he was an introvert) and they hired a very charismatic, extroverted replacement, Steve Sarkisian. Happy 4th of July weekend everyone. I've always been a big fan of the 4th, not because I'm hyper-patriotic, but because it seems to mandate that everyone slow down for a day. There's not a lot of preparation for it and it's not a high-paced, high-stress holiday like some of the others. It's understood that you relax, barbeque, watch baseball (I think baseball may be the ultimate introverted spectator sport), hang out with family and good friends (but not necessarily at a huge party) and watch fireworks. What's not to love for an introvert? I've been also thinking recently about how many churches change their rhythms during the summer. Most have a "summer schedule" which involves fewer programs, less movement and activity, and in general a more laid back ethos. I've never heard a theory for this other than a pragmatic one: people go on vacation during the summer and there isn't as much demands for church programs. But it occurred to me, what if we had "summer schedule" all year round? What if we could learn from the pace of the summer that churches do just fine without all the hyper-activity? I've never heard of a Christian abandoning the faith because there wasn't enough church programming during July and August. In fact, I know a lot of people who absolutely love the church rhythms of summer. Something to reflect on, I think. My interview starts at the 38 min 46 sec point of the show.